The Saigon Innovation Hub (SIHub) has just welcomed six Malaysian and Singaporean startups from the program ‘Runway to the World’, a network of exchanging startup businesses around the world in order to expand their market globally. Accordingly, the visit of the startups aims to research its market and form new commercial connections with local entrepreneurs. They will also receive mentorship in forming the most suitable business models to successfully penetrate a targeted market. 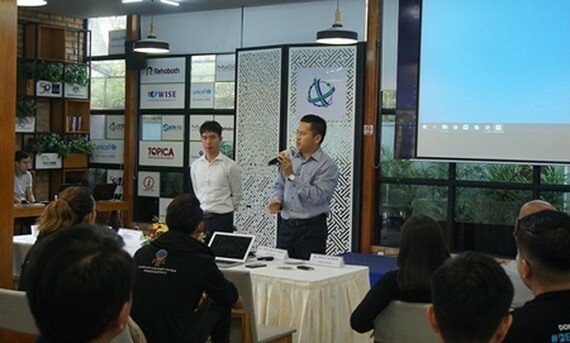 There are six mentors who will aid six corresponding startup teams, including Mr. Tran Hung Thien – General Director of the market research firm GCOMM, Mr. Pavel Poskakukhin – Deputy Director of Deloitte Vietnam. The six startups taking part in the program are owners of BuildEasy, practical solutions for real estates in the Southeast Asian area; TAG La, a gadget to find lost possession; Teleme, an application for healthcare on mobile phones in Malaysia; Telepod, a system to share e-scooters; 42Race, a social platform for fitness exercises; and PostCo, a network to solve the problem of missed deliveries in Singapore. Ms. Nguyen Phi Van, chairwoman of the consultation board of SIHub, said that besides the six assigned mentors, other mentors who are now members of the SIHub community are also willing to introduce those six groups to potential partners. The program is a collaboration between the SIHub, the Malaysian Global Innovation & Creativity Center (MaGIC), and Quest Ventures.